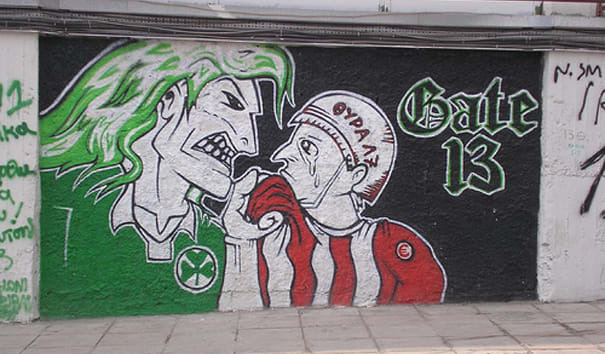 COMPLEX SAYS: This rivalry pits the metropolis of Athens (Panathinaikos) against the ancient city's port (Olympiakos). Their rivalry goes beyond soccer, extending to basketball, volleyball, and water polo. In 2007, after the death of a supporter during a pre-volleyball match brawl, all sport in the country was suspended for two weeks. MEMORABLE MATCH: May 8, 1988, Greek Cup final, 2-2 aet (Pana 4-3 on penalties).